It is hard to resist the creamy, satisfying and just overall goodness of macaroni and cheese. It is a meal that all family members love but making it from scratch can be difficult during the busy school week, we just don’t have time for that. What I am not okay with is unhealthy ingredients that make you cringe not to mention that you can’t even say the names on some of the boxed products. 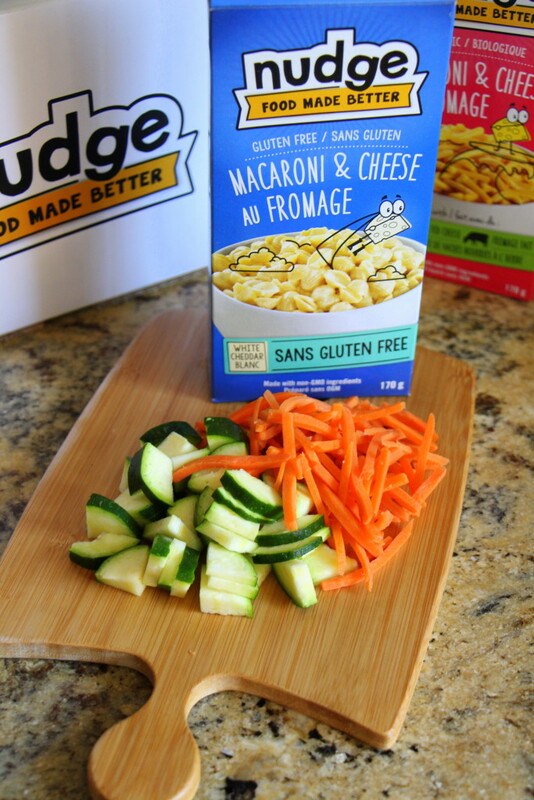 So how do you find a simple boxed macaroni and cheese that helps you eat better? 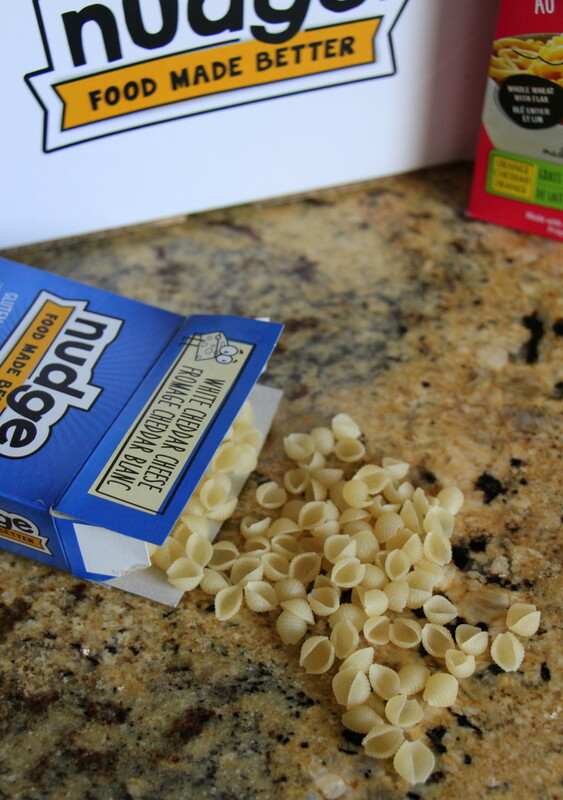 Enter Nudge Foods. 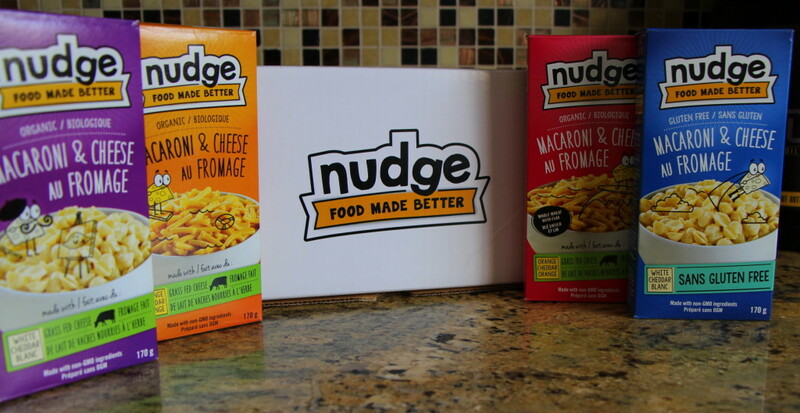 The Nudge team set out to create a product that not only tasted great but also be a product that you would be confident to bring into your home. 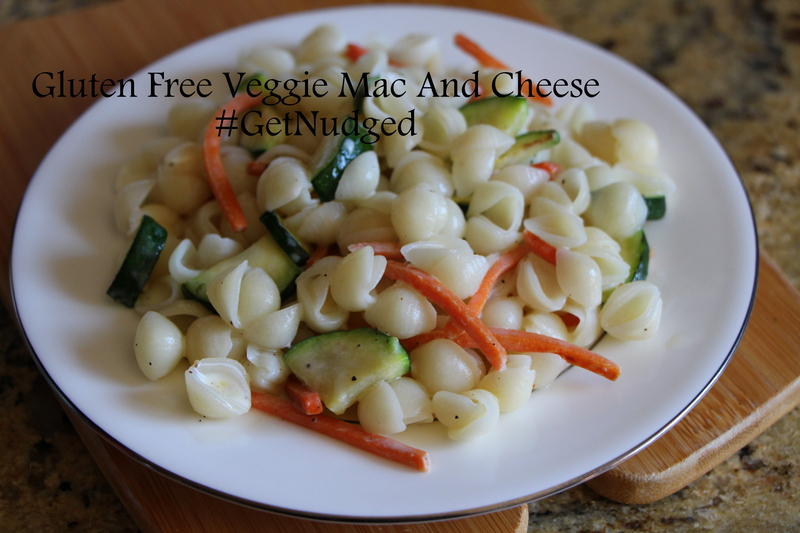 My family and I were quite impressed with the creamy taste of the macaroni and cheese, good doesn’t have to taste yucky!. The gluten free shells were fantastic and delicious, sometimes gluten free pasta can be quite textured and almost mushy tasting but the shells maintained their shape and texture with a great taste. While the Nudge Macaroni and Cheese variety is perfect on its own, why not shake it up a little bit and add in vegetables to not only fill you up faster but add even more nutrient value to your meal. Prepare the macaroni and cheese as directed on the box. 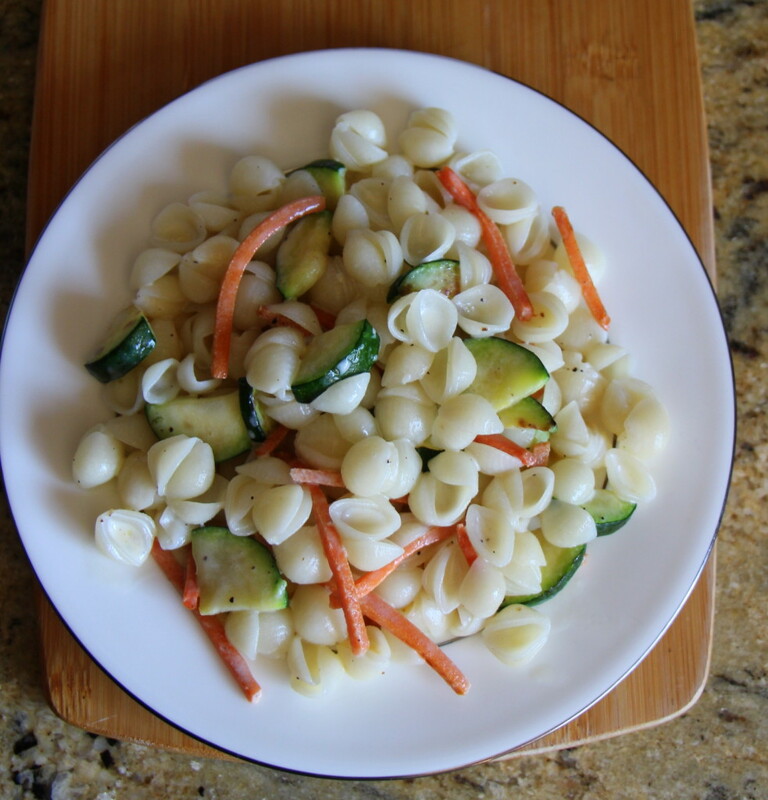 While the macaroni is cooking, cut up your carrots and zucchini. I like to quarter my zucchini and shred my carrots. In a separate pan, add the coconut oil, zucchini and carrots and cook until tender. Add the black pepper as desired. Once the macaroni is fully cooked, drain the pasta and mix in the butter/margarine and milk. Add the cooked vegetable mixture to the macaroni and cheese and mix. 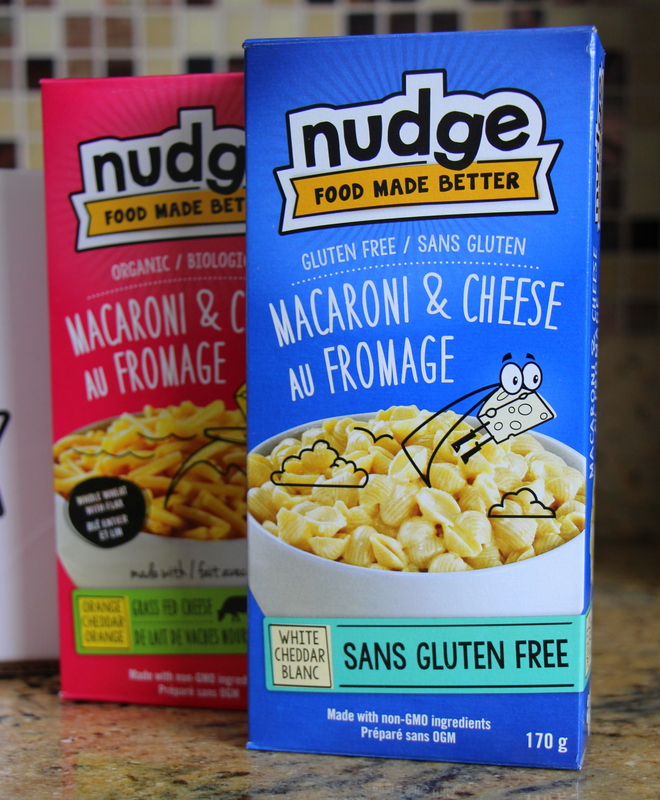 Make sure you follow Nudge Foods on Twitter and Facebook to keep up to date. Watch out for another simple, week night recipe using Nudge Foods that your children will love. Watch out next week for a new recipe using my kids favourite the elbow macaroni and cheese! This entry was posted in gluten free, health and fitness, recipe, recipes, review, reviews.